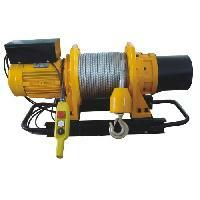 Our Electric Winch runs on a power supply of 12V DC/24V DC. It is ideal for adutomotive and construction purposes. We are designated with a position of trustworthy suppliers involved in dealing with Electric Winch and offering the best deals. Buyers will not regret purchasing our products, as they conform to industrial quality management standards.